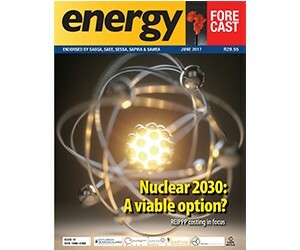 Energy Forecast magazine is a niche business-to-business publication that is South Africa’s pre-eminent energy publication, giving its readers the opportunity to easily deliver products or services to its focused market. With all forms of energy now crucial to the future economic, political and social futures of every country in the world – especially the Africa continent – Energy Forecast provides a comprehensive coverage of exploration, development and innovation every quarter. While attention is given to traditional carbon fuels and nuclear power, the publication provides plenty of news about alternative sources of energy being developed with ingenuity around the African continent, together with emphasis on water and climate change.